With over 25 years of owner experience, Mike’s Custom Flooring is fully insured and licensed to offer commercial businesses and residential homes in Eastern Panhandle of Berkeley and Jefferson Counties in West Virginia along with Frederick, Loudoun and Fairfax Counties in Virginia with hardwood flooring installation and hardwood floor repair services. With our commitment to upholding high moral standards, family-friendly customer service and superior execution on all services rendered consistently, you will rely on us as so many return customers do. Mike’s Custom Flooring specialists utilize top graded products, supplies, tools, and equipment offered exclusively to licensed professionals to enhance our own abilities and expertise. –	Hardwood Floor Splitting & Cracks. Even with proper maintenance, but especially if neglected, hardwood floors can become cracked and split. With proper care and maintenance you can greatly minimize and prolong the event. Mike’s Custom Flooring can make necessary repairs on minor and some moderate problems, however in some severe cases refinishing or replacement may be necessary. –	Hardwood Floor Plank Gaps. Gaps in the plank are another frequent issue that Mike’s Custom Flooring can repair with our hardwood floor repair service. Mother Nature is the culprit in this instance, as wood can shrink and expand with various weather conditions. 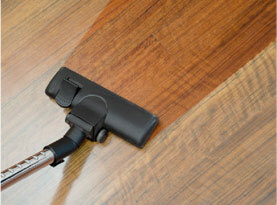 The hardwood floor will shrink when it dries out and expands when it is damp from humid days. With the routine expansion and contraction, the hardwood floor planks will eventually start to gap. Where this is a normal occurrence, just accept as it is. If the gaps are less than a dime width they are fine, if they exceed that, Mike’s Custom Flooring can tighten them up with our hardwood floor repair service. –	Hardwood Floor Buckling. When the boards warp and lift away from the subfloor, it is known as buckling. This can happen a number of different ways. Mike’s Custom Flooring will perform an inspection check to find the source and make the necessary repairs to the initial problem as well as the repair any damage the buckling may have caused. –	Cupped Hardwood Floors. Cupped floors or washboarding will develop when the center of the board sinks down by the width of the wood strip gradually will raise the edges of the hardwood plank. When the moisture is imbalanced the moisture builds up on the bottom and the top dries out of the wood plank, which causes the cupping. In order for Mike’s Custom Flooring to make the repairs, it is prudent you stabilize the humidity levels in your home first. –	Warped Hardwood Floors. Warped floors or commonly referred to as sagging floors is a more serious problem concerning hardwood flooring. 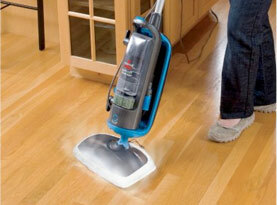 When the hardwood floors warp, it is due to excessive moisture that is constantly interacting with the hardwood floor. Finding the root of the moisture first is essential. 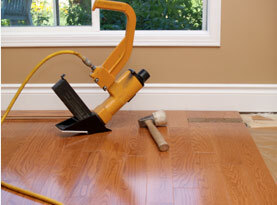 Once that has been resolved, Mike’s Custom Flooring can make the necessary repairs to your hardwood floor. –	Hardwood Floor Water Damage. Water damage is a big problem concerning hardwood floors. Not only can warping and stains occur, but mold and mildew can get established along with most of the other problems listed above. If your hardwood floor has been inflicted with water damage, Mike’s Custom Flooring can come and inspect and assess the issues at hand, and provide solutions to make your hardwood floor restored. Mike’s Custom Flooring has the experience to find the most optimal methods and techniques to make the needed repairs to your Eastern Panhandle of Berkeley and Jefferson Counties in West Virginia along with Frederick, Loudoun and Fairfax Counties in Virginia home or business’s hardwood floor. 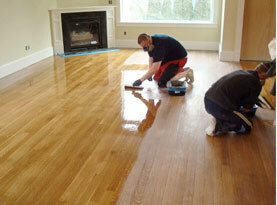 If you need your hardwood floors installed, replaced, repaired or refinished, contact Mike’s Custom Flooring today!